We are really lucky to be able to offer this fun design by Elspeth Rose designs! 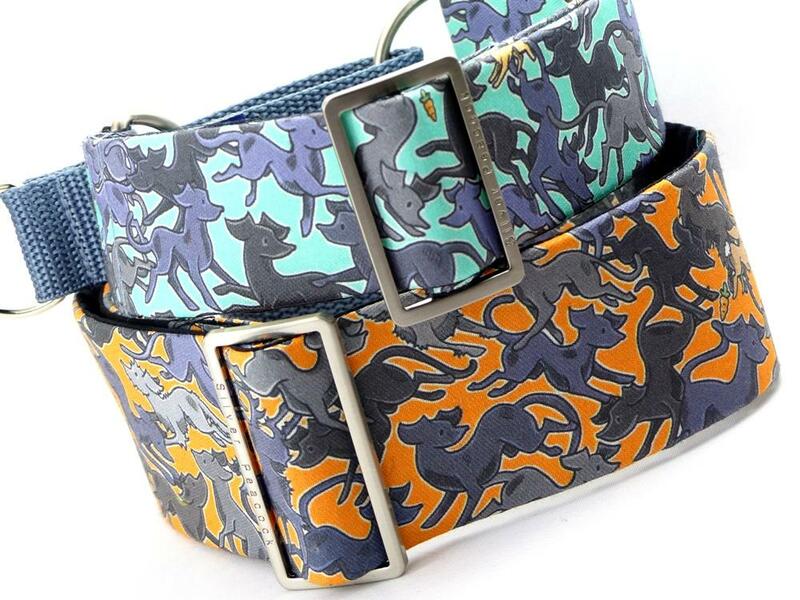 The design features dozens of hounds of various breeds, shapes sizes all in amazing fancy dress, from pirates and princesses to bumble bees and butterflies! Just too cute! Each collar will be slightly different depending on how the fabric falls on the collar. 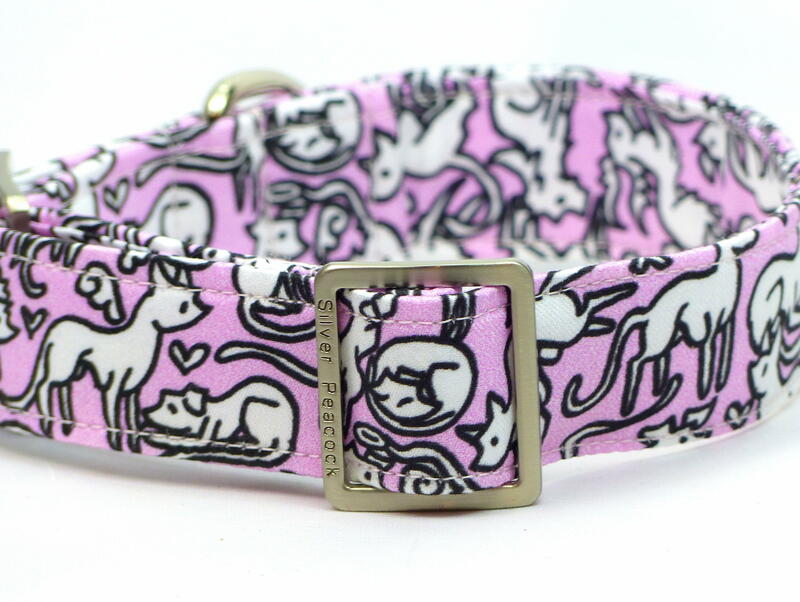 The collar is lined in complementary pink coloured fabric and is finished with our signature robust silver coloured hardware.